Don’t lie to me, you want an air cooled 911. Even if you say you don’t, you do. The only reason you would say that you don’t is that you’re bitter about not being able to afford it, or are tired of hearing about how fantastic they are. I know this because I have one. But I got in before the boom, and now I’m stuck with a car I can never sell, as I’ll never be able to afford to get another. I’m just a regular guy with no money who stumbled into a 911. Here’s what it’s really like to own one. Thanks to insane sale prices and internet mythmaking, old 911s have officially dethroned the E30 as God’s Chariot. Unfortunately over the last several years the bandwagon has gotten bloated. Undervalued for years, prices have doubled, tripled and even quadrupled. People have been restoring, flipping, and selling 911’s to the bandwagoneers. Auctions are full of the Porsche marque and until recently sale records were set almost every event. Me, I got into this in a different way. Back in 2012 I had just sold my 1983 911SC, and hopped a flight to Virginia to pick up a 1972 911T. I’d decided to drive it back to Minneapolis rather than have the car shipped. This was just at the up swing of the incredible surge that the early 911 market saw five or so years ago. I knew I wanted an unoriginal car that I could turn into a hot rod, but beyond that I wasn’t too picky. I’d never spent that much money on anything, ever. And I knew if I bailed, the hunt would continue. I remember being crammed on the plane wondering why I was doing what I was doing. I had only seen a handful of fairly uninspiring photos of the car that kind of showed that I needed to really do some work to make the car acceptable. There were some “inspection” photos, but really, there wasn’t enough. I went ahead anyways. I was drunk with it all. The agreement was that the owner would pick me up from the airport, drive to the train station and bail. I was anxious, and being in the middle seat back in coach with nowhere to go but down seemed a bit prophetic. The owner didn’t talk much. I got in, said hello, and was left to wonder if I felt a miss in the engine at light throttle as we cruised along the freeway, or if it was just me. Was that gas I smelled? It was November, and was dark already in the early evening. The lack of conversation was eerie. I was uncomfortable, and anxious. The freeway lights swished by illuminating the owner. I just wanted to get to the train station so I could be alone with the car. I could have still backed out at this point. I’m a fairly middle class working guy, and the amount of money I was spending freaked me out. I’d never spent that much money on anything, ever. And I knew if I bailed, the hunt would continue, and I might not find anything in my price range again. In hindsight I was right, as the market went crazy shortly thereafter. After about a half an hour of mostly silence we pulled up at the train station. Owner gave me the keys, took my money, and left, disappearing briskly up the gangway to the suspended train platform. I wondered what he would spend the money on. I hoped it wasn’t something awful like divorce, taxes, or debt. The key was just a key. Most classic cars end up with some crappy reproduction key, attached to some leather fob with some super china fake marque crest on it. The key was black, and just said “Porsche” on it. The teeth on the key were worn down and it slid into the ignition switch easily. The ignition worked just like any other car. Undramatic and useful. The car fired up, and I let it idle a while. I played with the Recaro seats a bit. They were filled with buttons for heat, and different types of body support. They touched in the middle, and blocked access to the emergency brake. I twisted my hand and released the brake. It all sounds a bit dramatic, but all of this went really slowly after the guy left. I leaned over to check the glovebox, which was empty. I was avoiding leaving. I know this all seems a bit dramatic, but it took me forever to leave the lot. 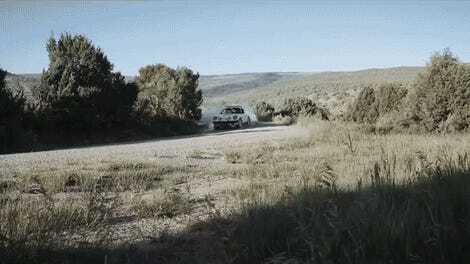 I was definitely shaking as I shifted into gear, and released the clutch for the first time. As I wound through Virginia I came to realize that my trepidation had been based entirely on my fear that I wouldn’t like the car, and that I’d wasted not only money, but blood and sweat. I’d had a long string of cars I had to build to get me to the 911T. I flipped an ‘83 Rabbit, an ‘80 Rabbit Pickup, a Scirocco, and a 911SC to get there. All the cars needed more than extensive work. The four-door Rabbit had sat in a field for 17 years, the pickup needed an engine, and the Scirocco was a parts car when I got it. When I finally sold the Scirocco, I began the hunt for a 911SC. After sorting through hundreds of ads filled with Targas and bastards, I found a white one, in Arkansas. It had sugar scoop (aka North American) headlights, and a turbo spoiler, but otherwise looked great. I flew down with a friend to drive it back. It was everything I expected and more. I made my first air cooled mistake immediately. I added three quarts of oil to a cold engine as the gauge read low, essentially overfilling it. The car drove great, other than hydroplaning everywhere on an empty tank. When we got back I immediately pulled the tail and headlights off. The deck lid had been drilled 200 times to rig the spoiler to it, but to me that was still better than having a turbo tail on an SC. That night we threw the car on the hoist, pulled the valve covers out to check the head studs. Two and my spirits fell on the floor. The motor needed an entire top end job. On an air-cooled 911 engine, this involves rebuilding about two-thirds of the engine. Most SC’s have broken head studs so I thought it was a possibility, but I had my fingers crossed. A typical top end job is around $7-10k. My friend Aaron Hatz, who runs a shop called Flat Six here in Minneapolis, told me this before I bought a car: “Every 911 is a $30,000 car. Pay now, or pay later.” Sadly enough, I paid later. With some help from Aaron I rebuilt the top end myself to the tune of thousands. Afterward I hopped in the car, drove about 200 meters and was disappointed. It drove exactly the same, and made no more power. Thousands of dollars spent for no sensory gain. I sold the car. I made around $7,000 on the deal. I decided to look for the one I really wanted—an early 911. My trip back from Virginia gave me plenty of time to acclimate to the car. It did smell like gas, and it did have a miss at partial throttle. It had been mucked up by a previous owner with stickers, Hella lights, fiberglass RS bumpers and other parts. I removed the CARRERA and CARRERA RS stickers at a friend’s house in Pennsylvania so I could stand looking at myself in the rearview mirror. It was an 18 hour trip through the night from Harrisburg. There’s no radio, no power steering, and no power brakes. I’d left my headphones at home. The two-in, two-out race muffler hummed behind. I imagined being out in the farm fields of Wisconsin watching from a distance as the obvious shape of a 911 steadfastly slipped by a random mile marker at two o’clock in the morning. In the most basic and primal motoring sense, it was just me, and car. It didn’t take me long after being home to render the car undriveable. I drove it to Georgia and back in some extremely hot weather. The car at the time had no external oil cooler. Oil temperatures regularly reached 240-250 degrees. The modular design of the engine helps with expansion and hot temps, but not that hot. Eventually, something (as is always my luck) had to give way near home. This time, it was a rocker arm breaking, and shelling out one of the cylinders. I instantly remembered the adage that every 911 is a blah blah blah pay now or blah blah blah. The car came with a 3.0 SC engine. I decided not to make the same mistake as last time. That meant $3500 cylinder heads, $4000 pistons and jugs. I was setting money I didn’t have on fire in my garage. I told my wife I was putting the money into a car that was appreciating. Which, compared to being broken, a running 911 is certainly worth a lot more. After all that, let me say this: It was worth it. 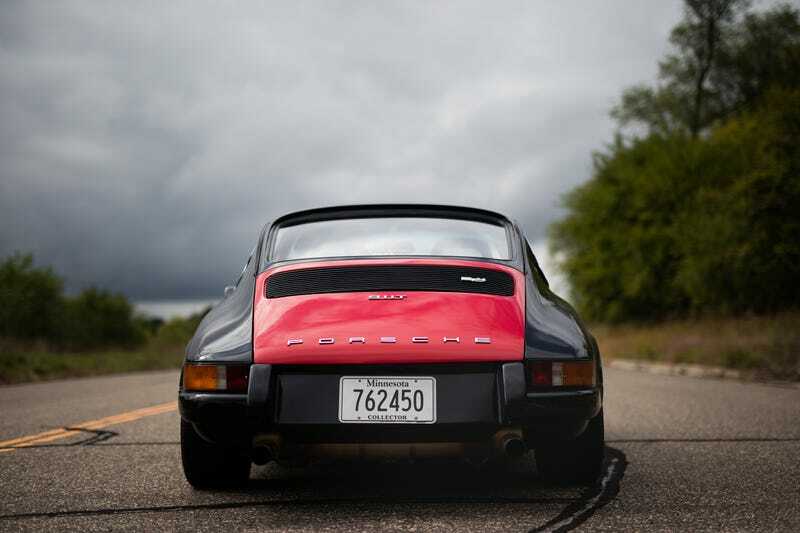 There is a real sense of danger with an air-cooled 911. Many over the years have been piled up and then cut up in scrap yards. They’ve killed people that lifted in corners on purpose. The car, now with around 230 horsepower, an extremely short gearbox, and only weighing 2,350 pounds, is just faster than a brand new Toyota Avalon. But the best part is everyone thinks it’s the fastest thing out there. Every car with an S, I, R, GTR, GT, SI, RS, whatever badge wants to race. Kidding aside, it is faster than some of them, and being 43 years old, that’s pretty cool. Unless you’re a “the juice is worth the squeeze” type of person, you shouldn’t own one of these. The prices have gone nuts even on the most reasonable ones. Rusty parts cars are $10k. Even a tool kit to replace yours that’s going missing can cost thousands. A spark plug tool? $800. They’re abhorrently expensive to fix if you can’t do it yourself. A full engine rebuild from a reputable shop will cost you at least $15k. So what’s the draw? The first drive in spring time is the best drive of the year. I move my whatever flavor of the year winter beater out of the way of the garage door. I fire the car up, back out and take off. The whir of the fan, and mechanical chorus behind you instantly reminds you of why you’ve suffered through the quirks and headaches. The inside isn’t very loud, with the engine being out back, but the engine and exhaust notes reverberates back off the trees and passing cars alike as a reminder of how punishing it is to anyone who hates cars. Rowing through the gears has a substantial learning curve and allows for no mistakes. It’s quintessentially a machine. You have to do everything yourself; the car doesn’t think for you. There’s no computer, no PSM, and no ABS. There is a real sense of danger with an air-cooled 911. Many over the years have been piled up and then cut up in scrap yards. They’ve killed people that lifted in corners on purpose. Deep down in every car enthusiast, there is the need to do dangerous things and conquer them. A 911 is a perfect tool to fulfill that deep rooted need. The classic car bug is real. Once you’ve caught it it’s tough to go back to the mediocrity plaguing auto manufacturing today. All of the air conditioned seats, back up cameras, paddle gear boxes, and accelerometer controlled traction control units cannot compare. Everyone should get out and find their 911, or at least, something similar. There’s a classic car out there for everyone. What’s yours? Kristopher Clewell is a journalist and photographer from Minneapolis. He writes about motoring, motorsport, and politics.